Some pieces you've just got to hold on to. 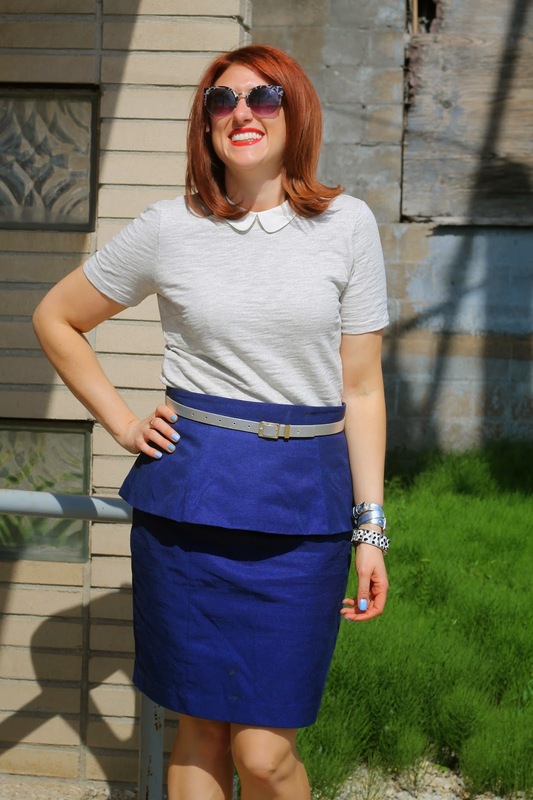 I've had This peplum skirt since before I even knew what peplum was and certainly before peplum became a trend! I picked it up at H&M long ago and has held it's ground through many a closet clean out. Sometimes you just get it right and a piece works for years! Glad it's a trend that has stuck around! This skirt is so gorgeous on you! Well thanks ladyfriend! I know you enjoy yourself some peplum as well so I'm glad it's still kickin' for both our sakes!